One fan said she looks like a Bratz doll. 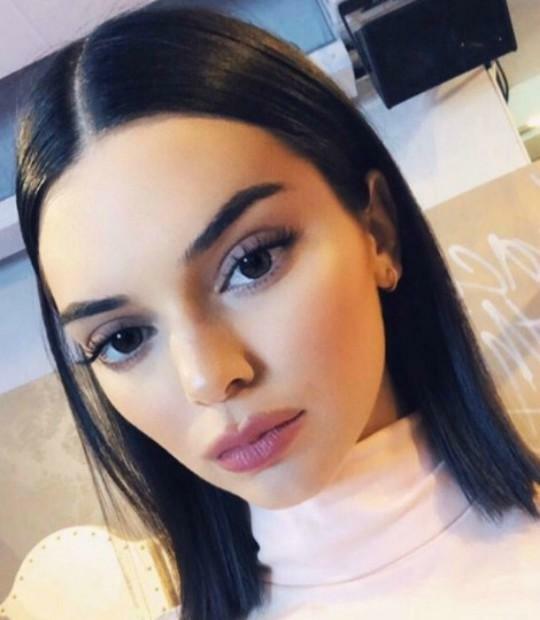 Kendall Jenner, 22, is being accused of having work done on her face after she pouted fuller lips and bigger eyes in a photo posted by a celebrity hairstylist. Hairstylist Jen Atkin posted a picture of the model from an Adidas photo shoot in Shanghai and fans had a lot to say about her “different” look. “She looks so different,” another user wrote. One Instagrammer even said she looked “like a bratz doll.” That comment is a bit ironic because Kendall previously told Kylie she looked like a Bratz doll on Keeping Up With The Kardashians. Kendall has not yet replied to the rumor that she followed her sisters’ footsteps and went under the knife. Her BFF Bella Hadid, who has been known to respond to body shamers on social media, trolled an Instagram user that called them “plastics,” referring to Mean Girls. Elle Magazine was able to capture the conversation that has since been deleted. "2 fake b---hes sitting in a tree, first comes the nose job, then come the lips, oh and don't forget the built in cheeks. lmao y'all trippin' fam, money can get you a new face but not a nicer personality which these two girls need,” read the comment. Bella shut the Instagrammer down with words of wisdom. "I wish you would know either of our personalities,” she replied. “And not only that, I wish you would only grasp a heart of your own. Blessings to you sweetheart. Jealousy is a cry for help that I wish I could help you with." The user seemed to have learned a lesson or been embarrassed because the comments were deleted and an apology was written in its place. “@ballahadid it’s all gone girl, but seriously this whole thing has taught me a lot,” the user wrote. Kendall is known for being the most natural of the Kardashian/Jenner tribe but this photo has fans wondering if she joined the rest of the women in her family and decided to alter her look. She has also been rumored to be gay, which she addressed in a recent interview with Vogue. Kendall shut down the rumors in a short, few sentences and she will likely do the same about the rumors she altered her appearance. “I don’t think I have a bisexual or gay bone in my body, but I don’t know! Who knows?! I’m all down for experience—not against it whatsoever—but I’ve never been there before,” she said. “Also, I know I have kind of a . . . male energy? But I don’t want to say that wrong, because I’m not transgender or anything. But I have a tough energy. I move differently. But to answer your question: I’m not gay. I have literally nothing to hide.